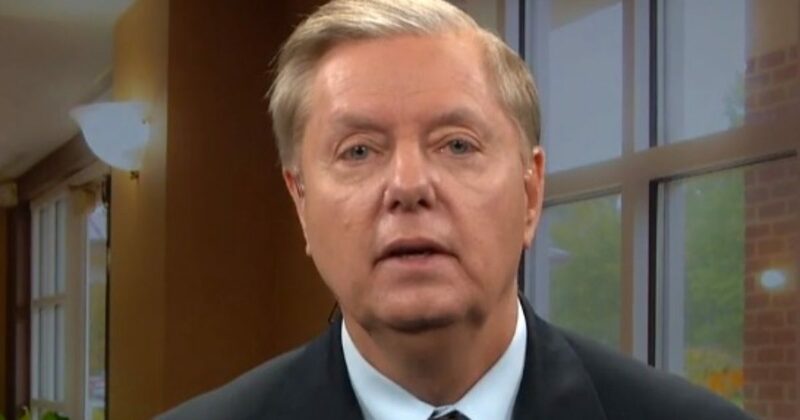 South Carolina Republican Senator Lindsey Graham, to prove a salient point, challenges Senator Chuck Schumer to pick just one candidate from Trump’s list. Senator Graham was talking about candidates for the Supreme Court. He held up a list that Donald Trump published when he was campaigning for President and that list of nominees comprised 20 plus names. The point is, of course, is that there is no list that is put forward by President Donald Trump that will ever contain anything that the Democrats would approve it. It is not that the nominees are not qualified, it is that they are proposed by Trump. Democrats have already threatened to investigate — or even try to impeach — Supreme Court Justice Brett Kavanaugh should they retake control of the House after November’s midterm elections. On Sunday, South Carolina Sen. Lindsey Graham (R) responded to the news by throwing down a challenge to Senate Minority Leader Chuck Schumer (D-N.Y.). At first, when asked about the threat, made primarily by Rep. Jerry Nadler (D-N.Y.) who is the ranking member on the House Judiciary Committee, Graham vowed to campaign against his congressional colleagues in the run up to November’s elections, something he said he’s never done before. Then host Chris Wallace asked Graham about a list he brought on set. Wallace was referring to the list of potential Supreme Court nominees that President Donald Trump released last year.